If you're looking for the perfect last-minute gift idea for someone special, consider giving them a stay at one of our bed and breakfasts. Gift certificates are available and you can pair the stay with one of the many attractions here in Lancaster, from local theatres to shopping, nightlife and more. Our innkeepers take pride in being able to pay special attention to each guest and providing top-notch accommodations. 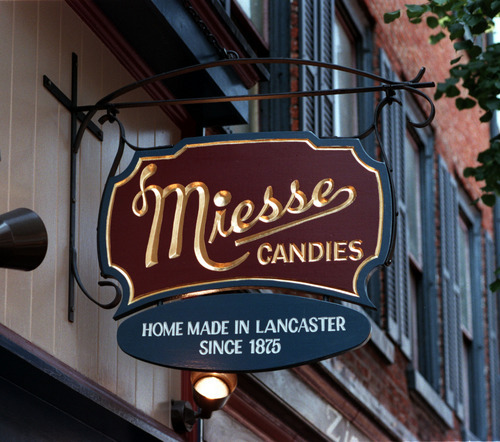 Support local, stay local and enjoy all that Lancaster County has to offer. Recently named by Forbes as one of "The 10 Coolest Cities to Visit in 2018," Lancaster is quickly becoming a destination spot for visitors and dubbed as the "newly hip Victorian city ... boasting a bustling food bed and quickly becoming a cultural hotbed." And we couldn't agree more. After the hustle and bustle of the holidays, the winter months can be a real drag. Break up the lull of the winter with a weekend getaway and explore new territory. 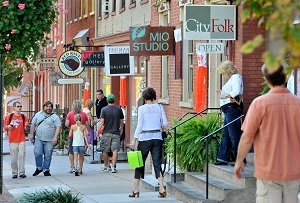 Check out downtown, explore Amish country or hit up one of the many specialty shops. 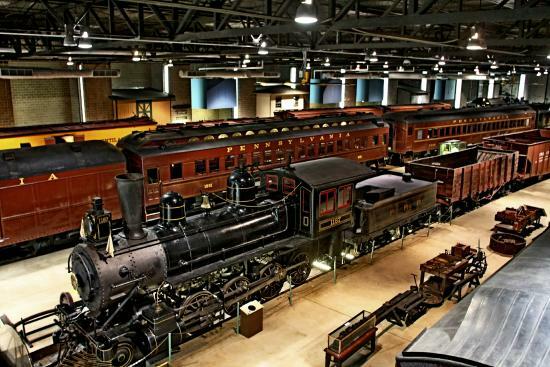 For train enthusiasts, Strasburg is a great town to explore centered around trains, including the Railroad Museum of Pennsylvania. 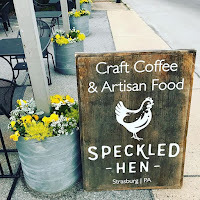 Swing by the Speckled Hen for a bite to eat or a cup of java. A trip to Lancaster isn't complete without a horse and buggy ride so visit Aaron & Jessica's Buggy Rides in Ronks. 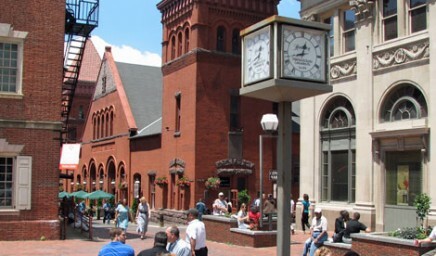 If you're more interested in the city life of Lancaster, be sure to peruse Central Market, which is named one of the world's top markets, offering everything from locally grown produce to meats and cheeses, prepared foods from around the world, handmade trinkets and more. Head down the street to see what's on tap at Lancaster Brewing Company (may I suggest a pint of their Double Chocolate Milk Stout?) or enjoy a first-class meal at the Pressroom Restaurant & Bar. And the good news is, these establishments are all passport partners with discounts at inns. Ask your innkeeper for more information. Whether it's a romantic weekend away in February or an impromptu adventure out of town, visit Lancaster County and one of the many attractions - we hope to see you in Lancaster County in the new year! It's November, and that means it's time to start thinking about the holidays! Lancaster County has quite a few theatres and many are producing enticing and immaculate holiday shows. During your next visit to Lancaster County, check out a live theatre production, you won't be disappointed. As always, complete your trip with a stay at one of our bed and breakfasts (www.authenticbandb.com). 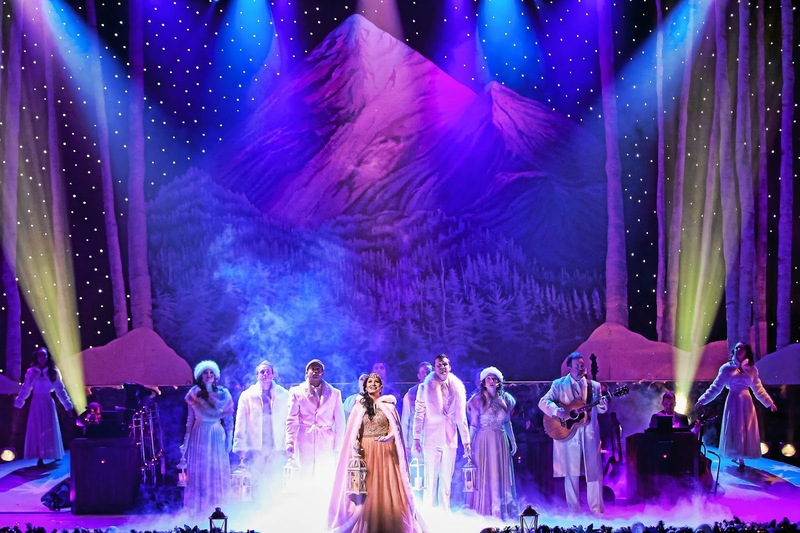 American Music Theatre presents an all-new "Christmas Show: The First Noel" through December 30. The variety show promises to wow the audience with its talented dancers, impressive costumes, set designs, singing and more. Tickets are $42 for adults, $21 for children and $32 for members. Enjoy dinner and a show during Rainbow's Comedy Playhouse's holiday performance "Christmas in Paradise" taking place through December 29. The story centers around a Lancaster County Amish family, who share the true meaning of Christmas with city folks who have lost their way and finds themselves in Paradise, PA. Tickets are $27-$63 and are available with or without a meal. Join the folks at Dutch Apple Dinner Theatre for "A Christmas Carol The Musical." The classic holiday show starring Ebenezer Scrooge is on stage November 15-December 30 with tickets ranging in price from $22 (show only) to $65 (dinner and the show). 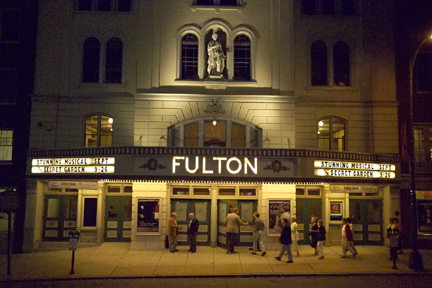 The Fulton Theatre presents a modernized version of "A Christmas Carol" December 1-29. 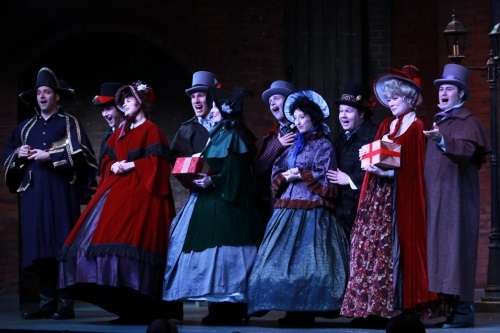 Set in Victorian times, the classic show references pop culture and features holiday sing-a-long songs. Shows are Saturdays at 11 a.m. through December and tickets are $11. Bird-in-Hand Stage presents two shows for the holidays. The musical "A Christmas to Remember" takes place through December 29 and centers around Matthew and Mary, a couple who own a thrift shop in Paradise. As the holidays approach, they are faced with some surprises and challenges. Tickets range in price from $17-$37 (show only) to $47-$55 (breakfast, lunch or dinner included). 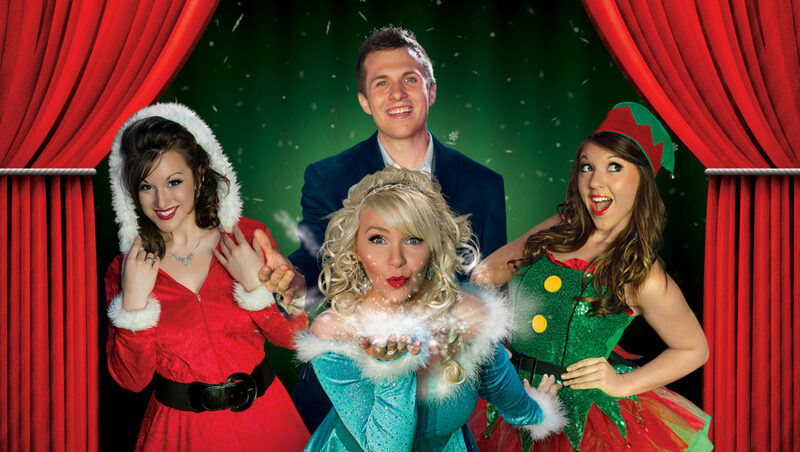 Join master illusionist Brett Myers through January 1 for the "Magic and Wonder of Christmas." The magic show includes a variety of performances, including comedy and music. Tickets are $13-$27 (show only) or $20-$45 (includes breakfast, lunch or dinner). Whether it's classic or variety shows, there is a show sure to get you in the holiday spirit and the perfect complement is a stay at one of our inns. We hope to see you here in Lancaster County during the holiday season! What better way to explore a new city than having a knowledgeable and personable local guide pointing out all the best historical sites, telling stories AND sampling foods along the way? Well there’s a new tour in downtown Lancaster that just does that. 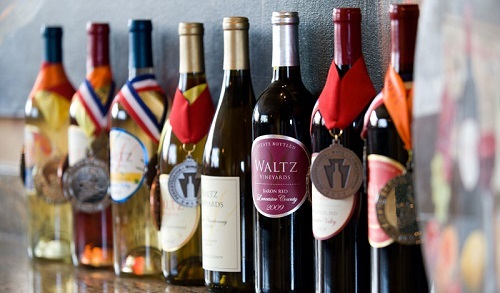 Red Rose Walking Food Tour marries Lancaster’s rich history with the taste of the finest local and authentic foods, making for a memorable and intimate stroll through downtown Lancaster. 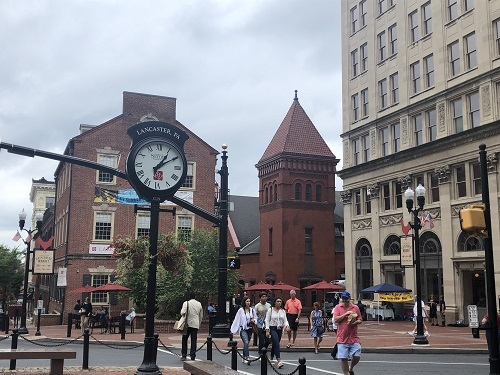 The tours take place on Market Days – Tuesdays, Fridays and Saturdays – and guests meet at 10:30 a.m. at the Visitor’s Center at Penn Square. 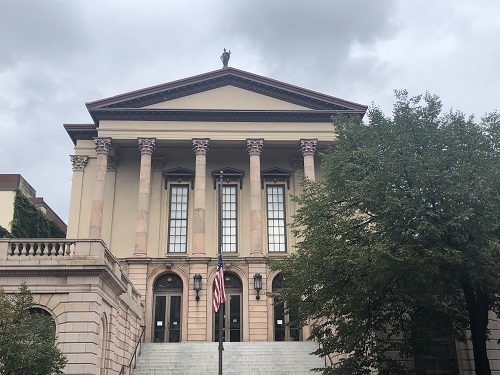 Deborah Spagnolo, owner and tour guide, pays special attention to detail, telling stories of historical prominent figures, ghosts that haunt Fulton Theatre, and a heart-wrenching love story featuring President James Buchanan, just to mention a few. 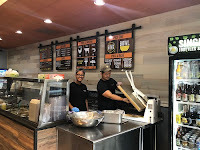 Old San Juan, where you’ll enjoy a flavorful empanada and plantano madaro tostones, Silantra Asian Street Kitchen for a “bing” (similar to a crepe but used as a wrap and stuffed with fresh Asian ingredients) Rolled Cold Creamery’s unique ice cream and Foltz’s homemade pretzels and fresh lemonade. Deb’s not only knowledgeable about Lancaster’s history, she also shares intriguing and lesser-known stories, bringing people and historic landmarks of our past back to life. 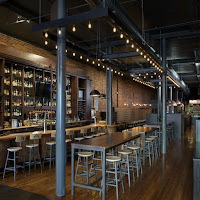 The tour weaves through downtown, equaling approximately two miles of entertainment and dining experience of Lancaster, with good company, plenty of great stories and flavors that'll impress your taste buds. Price of the tour is $48 per person (children 12 and under are free) and includes all food and drinks (vegetarian options are also available). 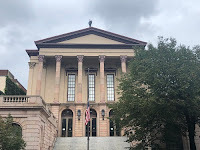 For more information and to book a tour, visit www.redrosewalkingtour.com, call 717-945-5576 or email rrwalkingfoodtour@yahoo.com. What better way to complete your authentic visit to Lancaster after a Red Rose Walking Food Tour than a stay at one of our inns? We focus on making sure your stay in Lancaster is a memorable one. 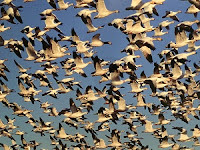 Find an inn that fits all your needs at www.authenticbandb.com. 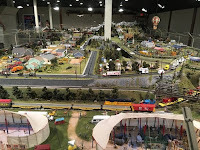 Fairs, Festivals, Food and more! As the summer starts to wind down, events in Lancaster are just getting started. From art festivals to auctions, concerts, fairs and more, there are countless events coming up in Lancaster County. 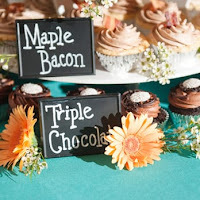 As always, find a local Bed and Breakfast that suits your needs by visiting www.authenticbandb.com. Our innkeepers are Lancaster’s finest hosts, with unique rooms at each inn, knowledge of all the best spots to visit in Lancaster and, of course, are remarkable at preparing breakfast. 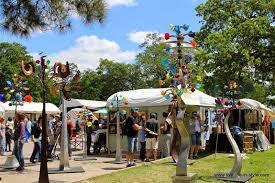 The 40th annual Long’s Park Art Festival takes place August 31-September 2. Rated as one of the 50 best art fairs in the country, the festival features over 200 juried artist selling paintings, sculptures, clothing, jewelry, photography, furniture and much more. Tickets are $10 for a single day, $15 for a three-day pass and kids under 12 are free. (Proceeds benefit the park and its summer concert series.) 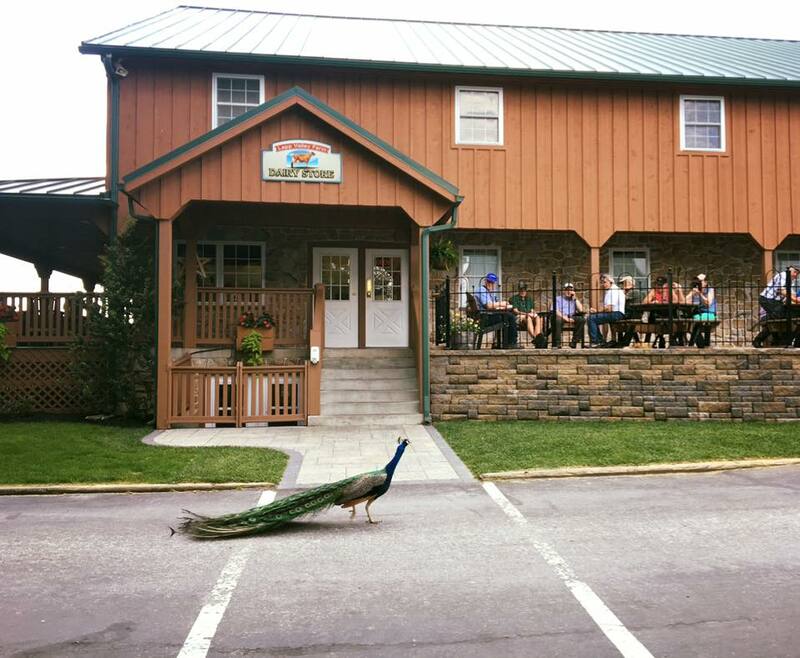 Also featured at the festival is the Susquehanna Style Pub, an area where guests can enjoy craft beer, wine, mixed drinks and a selection of food from local restaurants. For more information, visit www.longspark.org/art-festival. One of the most popular auctions in Lancaster, the Hospice & Community Care Labor Day Auction takes place September 1 and 3 at the Solanco Fairgrounds. 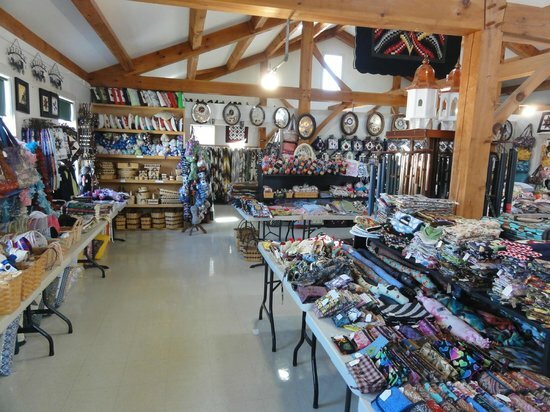 From sports memorabilia to high-end items, handmade quilts and original artwork, the auction offers a large selection of items, or just go to enjoy the sights and some tasty auction food like the famous breakfast log. Parking and admission is free. Proceeds benefits Hospice and Community Care. For more information, visit www.labordayauction.org. 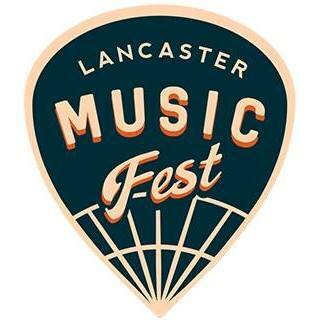 New this year to Downtown Lancaster is the Lancaster MusicFest. Taking place September 8 at the picturesque Buchanan Park, the all-day event features a line-up of Lancaster’s finest musicians, food trucks, a beer garden, hot air balloon rides and more. The family-friendly event benefits the Children’s Miracle Network. Register online at www.lancastermusicfest.com to purchase a ticket for a suggested donation of $5, register for free, or grab a $25 VIP ticket (which includes a $5 donation, T-shirt, free cup and drink and food ticket). Lancaster City Restaurant Week takes place September 10-16, with approximately 50 downtown restaurants offering special deals throughout the week. 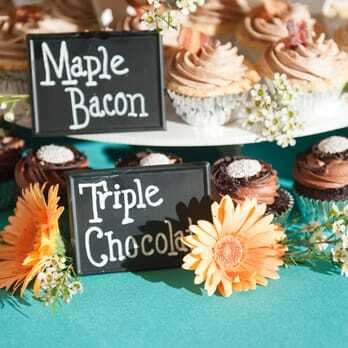 Whether it’s breakfast, lunch or dinner, you can choose a place that best suits your needs with combinations varying in price from $10-$40. 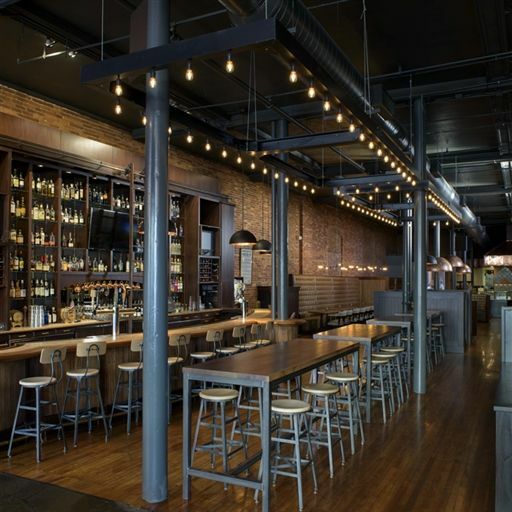 Restaurant Week offers guests a chance to explore downtown eateries and sample an array of foods at a reasonable cost. 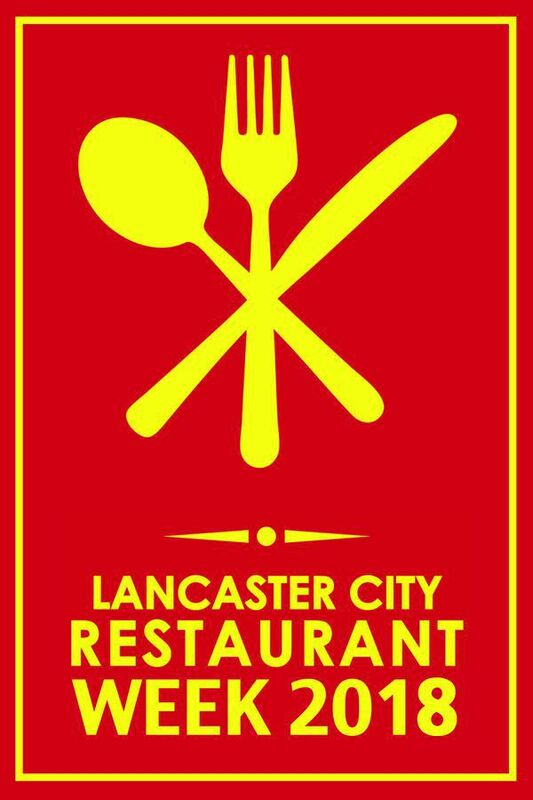 For more information, visit www.lancastercityrestaurantweek.com. 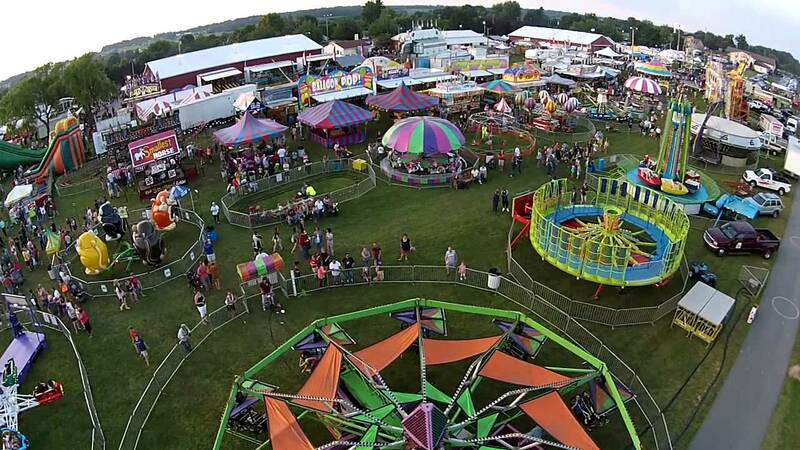 If there’s one thing Lancastrians love, it's fairs and we don’t skimp on them. 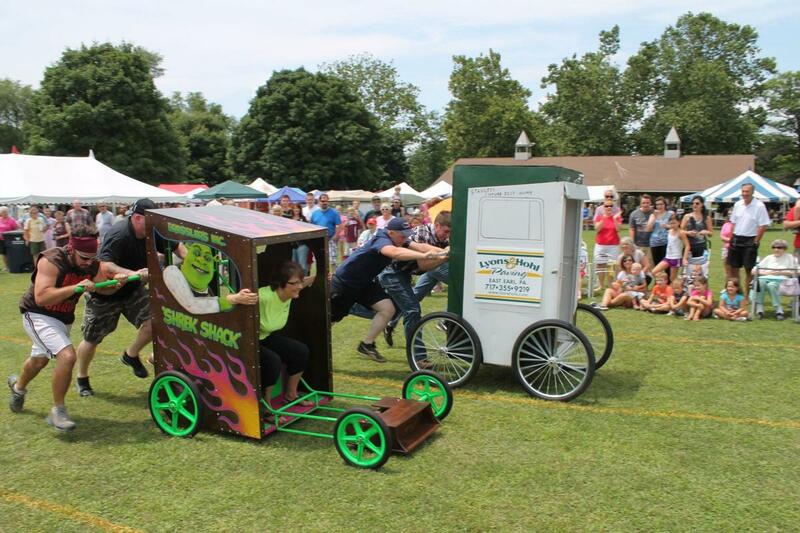 Check out https://lancasterpa.com/fairs-and-festivals/ for a complete list of the fairs scattered throughout the county in the upcoming weeks. 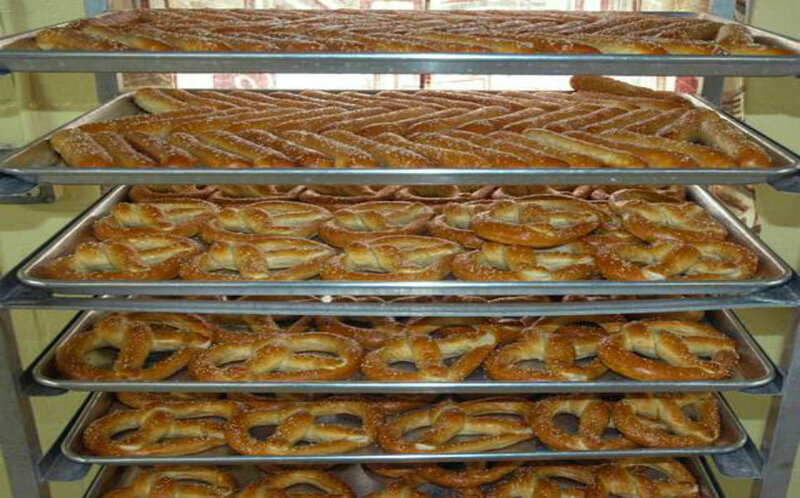 Whether it’s rides, local livestock, crafts, baked goods or fair food, we’ve got you covered. There you have it, folks. Just a few of the many events headed our way in the next few weeks. Book a room at a local inn at www.authenticbandb.com and make your stay a memorable one. 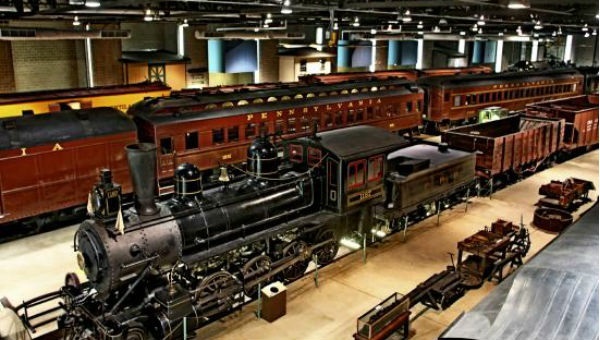 As summer kicks off, Lancaster County continues to provide a line up of unique and eventful attractions visitors are sure to enjoy. In this blog, we've highlighted just a few of the events coming up in the next months. And for those who are visiting over the Fourth of July holiday, follow this link for a complete list of festivities taking place in Lancaster County: http://www.discoverlancaster.com/lancastories/fireworks-in-lancaster-pa. There's never a dull moment here in Lancaster and our innkeepers can't wait to share in your experience, so be sure to book an inn at www.authenticbandb.com and enjoy all Lancaster has to offer! The original story of Aladdin is being performed at Fulton Theatre now through July 14. A performance for all ages, the audience is introduced to Aladdin, the street urchin, princess Zenovia, the genie and more. Or check out their performance of The Hunchback of Notre Dame taking place now through July 21. You're sure to be entranced with the costumes, music and sets. Visit www.thefulton.org for ticket and show information. The Wizard of Oz is on stage at Dutch Apple Dinner Theatre through August 4. Enjoy dinner and a show with "breathtaking special effects, dazzling choreography and classic songs." For complete information, visit www.dutchapple.com. 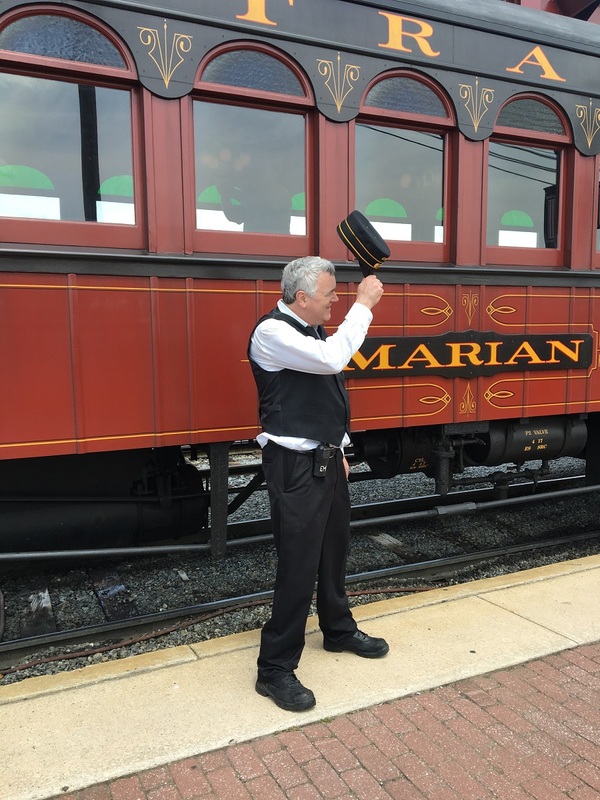 Join the folks at the Strasburg Railroad for an Evening Breeze Tour now through August 26. 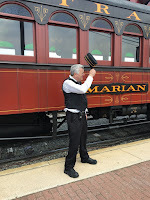 Guests are invited to relax and enjoy a 45-minute evening ride through picturesque Strasburg. For prices and more information, visit www.strasburgrailroad.com. 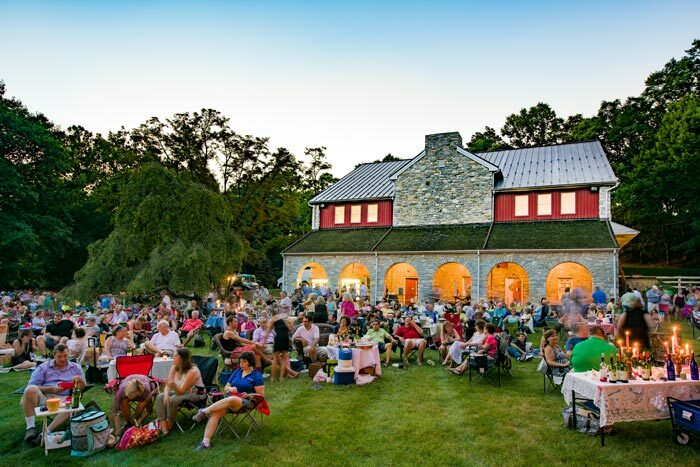 Head to Nissley Vineyards this summer for their open-air concert series through September 1. Guests are welcome to bring a picnic, enjoy a bottle of wine or beer, local musicians, and are encouraged to dance the night away. Food trucks are also on-site. Nissley hosts an amazing concert series, so be sure to check it out when visiting an inn. 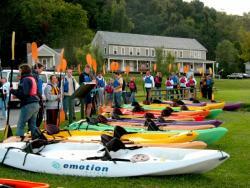 Explore parts of Lancaster from the water during self-guided paddle tours at Shank's Mare. Shank's, whose tours never disappoint, provides the transportation and rental of kayaks. Take in the beauty of Lancaster from a kayak and let Shank's take care of you. For additional questions, specific times and additional details, call 717-252-1616. Celebrate summer during Terre Hill Days July 19-22. 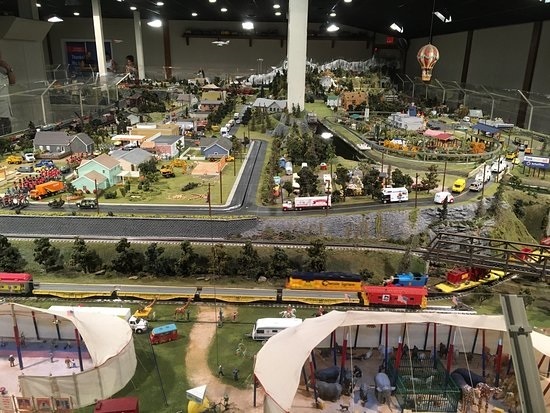 Guests can enjoy live music, carnival rides, an arts and crafts fair, outhouse races (yes, you heard that right) and much more. 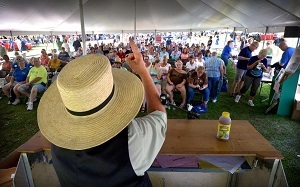 For more information and a schedule of events, visit www.terrehilldays.com. American Music Theatre is introducing the first annual Rock at the Park festival. Taking place at Clipper Magazine Stadium, the event features bands Fuel, Eve 6, Sister Hazel, Long Beach Dub Allstars, and more. Also featured is over 20 local brewers, food vendors, and much more. This event is won't disappoint. 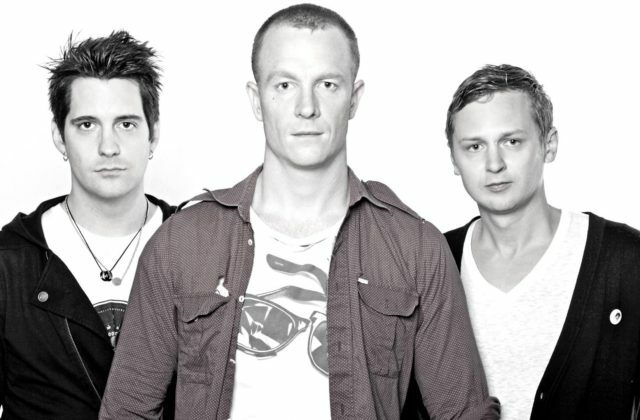 Ticket information can be found by visiting www.rockatthepark.com. And that's just a few events coming up this month! 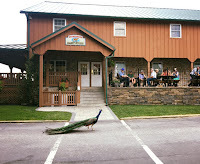 Be sure to find a local inn at www.authenticbandb.com to complete your trip to beautiful Lancaster County and stay tuned for more events highlighted in our next blog. 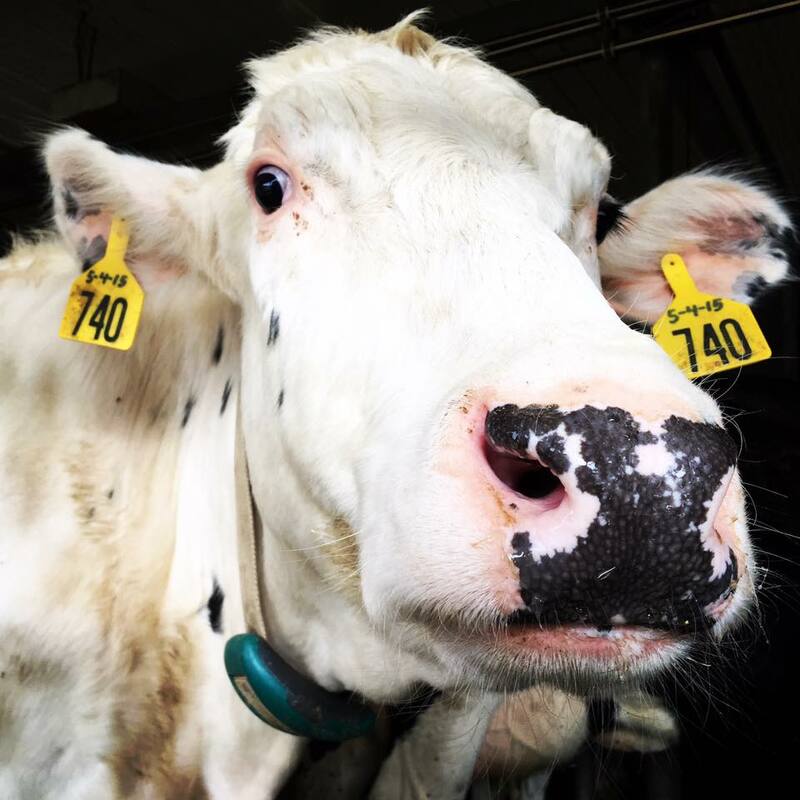 Lancaster County is known for its Dairy Farms, resulting in an abundance of fresh and flavorful local milk for folks to enjoy. But it's always a welcome treat when farmers take it a step further and use it to whip up creamy, mouth-watering ice cream. 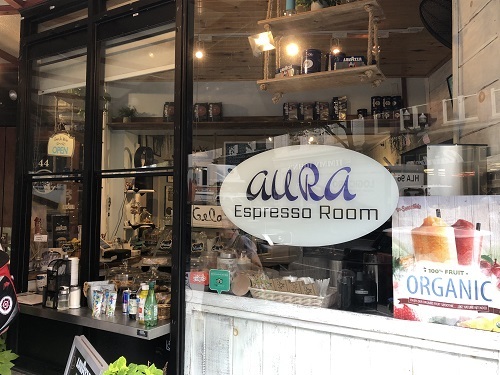 In this blog, we've highlighted ice cream stops and shops that feature locally made ice cream that are definitely worth a visit. 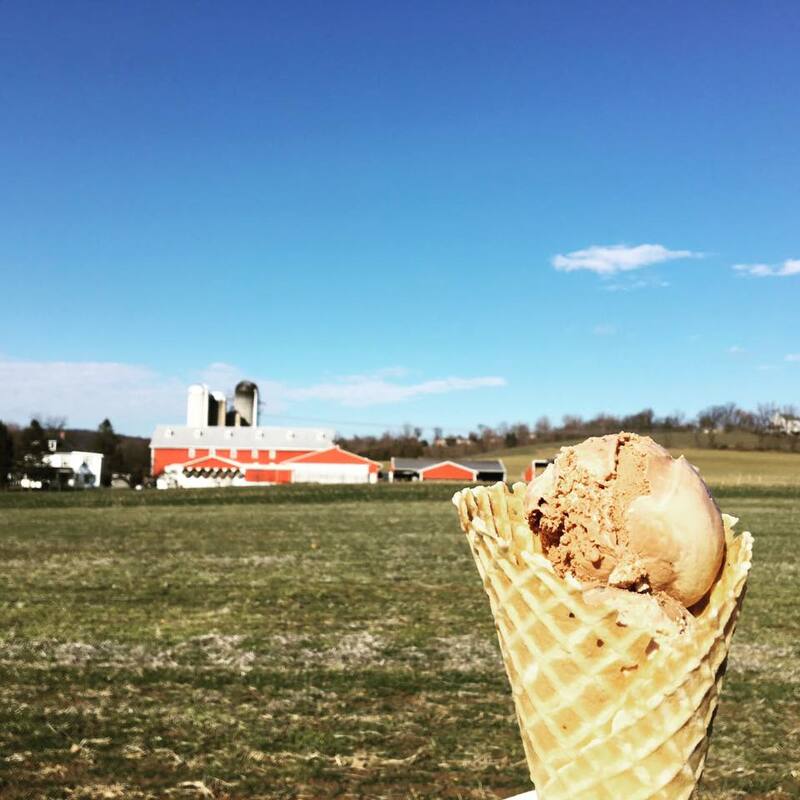 What better way to spend a summer getaway than sampling ice cream while staying at one of our Authentic Bed & Breakfasts of Lancaster County? 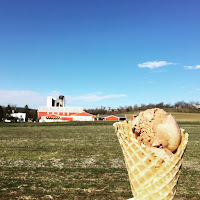 Pine View Dairy is located at 2225 New Danville Pike, Lancaster, and not only churns some of Lancaster's best ice cream, but they also invite customers onto the farm. The dairy offers over 25 flavors to choose from including butter pecan, orange creamsicle, maple walnut, classic flavors and much more. 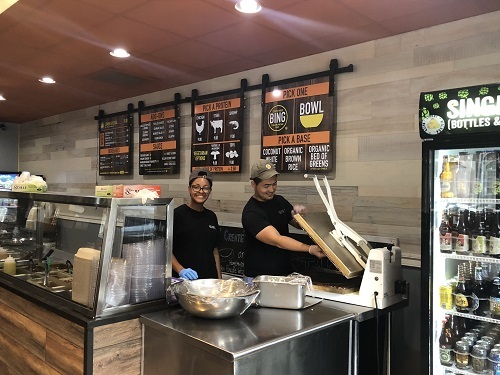 In addition to its ice cream, Pine View sells a variety of flavors of milk, local produce, baked goods, sandwiches and other items. You can enjoy your ice cream on the patio or take a stroll around the farm and watch the cows being milked. Visit Pine View's website for hours and more information. Surrounded by picturesque farmland in Ephrata is Fox Meadows Creamery and Country Market, which offers an array of classic flavors, but also kicks it up a notch by creating innovative flavors like honeyed lavender, banana cream pudding, and brown butter almond. 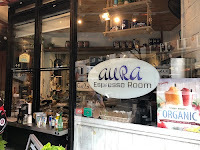 In addition, they offer the baked fox (ice cream stuffed into a chocolate chip cookie or brownie), the Fox Meadow affogato (vanilla ice cream, espresso, whipped cream and a pirouette) or custom milkshakes. Ice cream is made on site for guests to watch, you can purchase local and novelty items at the market, or enjoy light fare from their menu. Visit the website for more information about Fox Meadows. 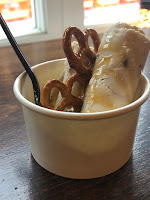 Relatively new to Downtown Lancaster is Penny's, scooping locally made Carmen & David's ice cream and creating amazing sundaes with homemade confections and sauces. There is indoor and outdoor seating at Penny's or keep an eye out for the Penny's ice cream truck, often spotted at events or downtown. 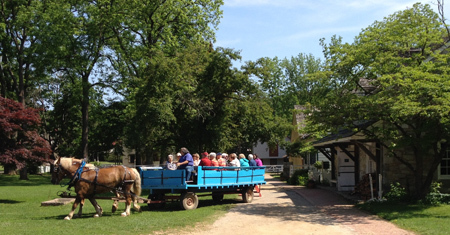 For an authentic Lancaster County experience, check out Lapp Valley Farm in New Holland. 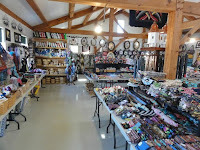 The farm is located on rolling pristine farmland with dairy cows, farm cats and kittens, bulldogs and even a peacock roaming around the grounds. Enjoy your ice cream on the wrap-around porch overlooking the farm or get it to-go from the drive-up window. For hours and additional information, call 717-354-7988. Enjoy a unique ride through Lancaster trying different ice creams during a scooter tour with Strasburg Scooters. 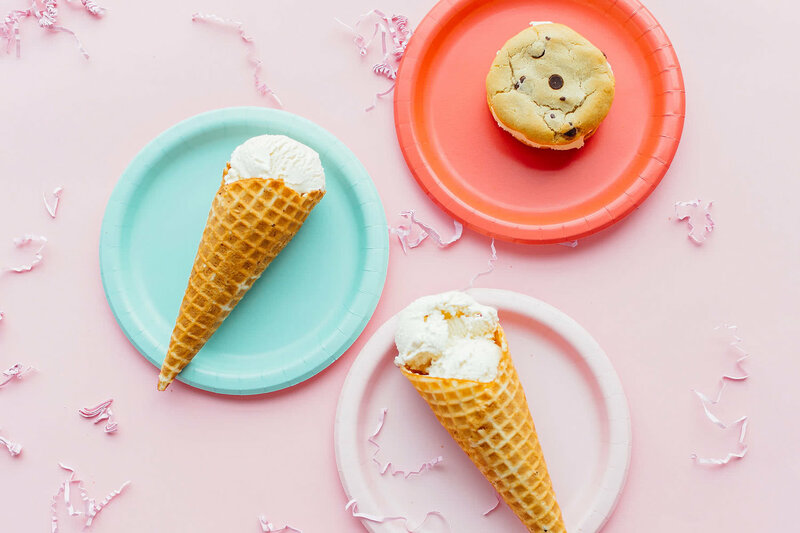 After a lesson on driving a scooter, you'll follow along with a group on an ice cream tour beginning at a local dairy where you'll receive a lesson on how to make ice cream, followed by a few stops at local ice cream shops. Book a scooter trip during your next visit, you won't regret it. 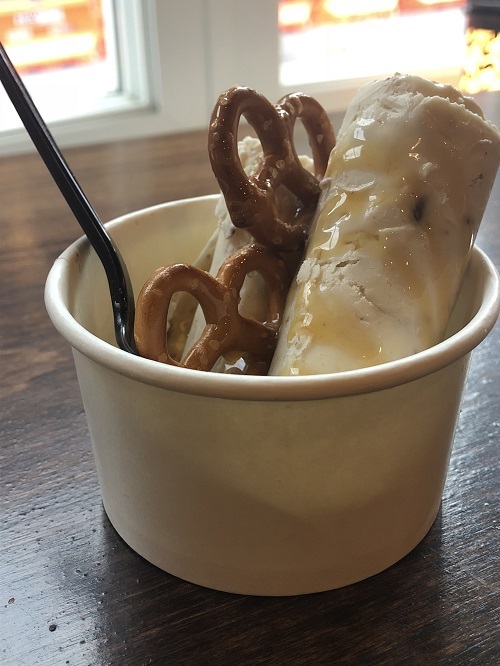 Other spots to visit for local ice cream include Chestnut Hill Cafe, 532 W. Chestnut Street, Lancaster; Oregon Dairy, 2900 Oregon Pike, Lititz; Lickity Split, 209 E. Main St., New Holland; Scoops Ice Cream & Grille, 312 Primrose Lane, Mountville; Boehringer's Drive-In, 3160 North Reading Road, Adamstown; Strasburg Creamery, 1 W. Main St., Strasburg; and Isabella's Ice Cream Parlor, 110 E. Main St., Lititz. Wherever you find yourself while visiting an Authentic Bed & Breakfast of Lancaster, be sure to put an ice cream date on your list of things to do. You'll be glad you did. When you're planning a getaway, everything should fall perfectly into place, from relaxing in an inviting and comfortable atmosphere to dining at award-winning or local favorite eateries, enjoying a tour of the town and waking up to an amazing breakfast tailored just for you. Authentic Bed & Breakfasts of Lancaster County pride themselves on their accommodations, setting themselves aside from large hotels and air B&Bs, offering a handful of pristine rooms for visitors, allowing the innkeepers to focus on each and every guest, with a keen sense of Lancaster County and the knowledge of the best places to visit, and making your stay their priority. After scouring the internet for the lowest rate from corporate hotels or pinching pennies with air B&Bs, sometimes your needs aren't met and you're faced with hidden costs and unexpected surprises. The Authentic Bed and Breakfast Innkeepers are devoted to making sure your stay in Lancaster County is an unforgettable one, with their focus solely on the guest, from check-in to check-out, to breakfast and all things in between, our innkeepers strive to make sure your stay in Lancaster County is a memorable one. Our innkeepers focus is on an immaculate attention to detail, from decor celebrating local artists and crafters to welcome you when you enter your room, to gourmet breakfast featuring local ingredients and all things in between, including no hidden costs and extra attention to detail that's unique only to our innkeepers. 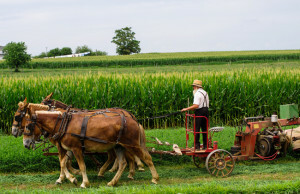 As Lancaster County becomes an increasingly popular destination to visit (with Forbes recently naming it one of the "coolest places to visit in 2018) with pristine Amish Farmland tours to art galleries, renowned restaurants, theaters and more, our innkeepers pride themselves on having a vast knowledge of Lancaster County and the key spots to hit during your visit. Whether you want to explore a working Amish farm or hit the downtown, our innkeepers make sure your visit is a memorable one, because when you stay at our inns, you're part of our Lancaster family. Next time you are planning your getaway to Lancaster, consider bypassing the hotels and air B&Bs and stay at an Authentic Bed & Breakfast of Lancaster County, where our attention to detail, focus on guests, and your visit is our priority. Think local when you stay local and book a room at www.authenticbandb.com. Lancaster County is rich in history with an array of historical sites from cloisters to clocks. 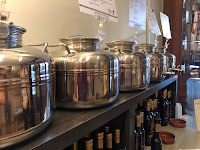 We’ve highlighted just a few in this blog to check out during your visit. For a complete list of other historical sites in Lancaster, visit www.discoverlancaster.com. 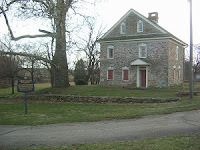 Ephrata Cloister, located at 632 W. Main St., Ephrata, is a national historic landmark founded in 1732. It acted as a retreat from worldly distractions for people who wished to have a disciplined life and prepare themselves for Heaven. Today, guests can take tours of the Cloister grounds and get to know its history, culture and learn about stories of its past, visiting seven original historical buildings. Tours are available and the Cloister also hosts special events and classes. For more information, visit www.ephratacloister.org. Robert Fulton Birthplace is located in Fulton Township, about six miles south of Quarryville. Robert Fulton is known for his invention of the steamboat and his art. 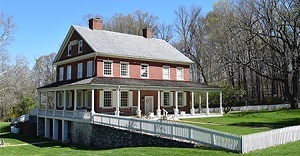 The Pennsylvania and Museum Commission restored and furnished the house to its original character complete with a garden. Landis Valley Village & Farm Museum, located on Kissel Hill Road in Lancaster, is a living history village and farm representing the German settlers from 1740-1940. The village is home to German artifacts and hosts many educational programs and classes. For more information, visit www.landisvalleymuseums.org. The Rock Ford Plantation is the 18th century home of Edward Hand and sits on 33 acres of what is now Lancaster County Central Park. The mansion is decorated in 18th century furnishings and art. Tours are available April 1-October 31 with special events throughout the year. 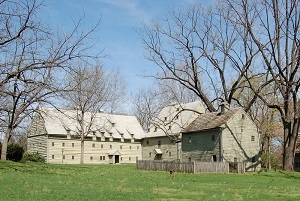 Visit www.rockfordplantation.org for more information. The oldest homestead in Lancaster County, the historic Hans Herr House built was in 1719 and is an original Mennonite meeting house. Now a museum, the house collects and preserves items from European settlers. A newer addition, a Native American longhouse, allows visitors a first-hand look at what Native American life was like in Lancaster County. 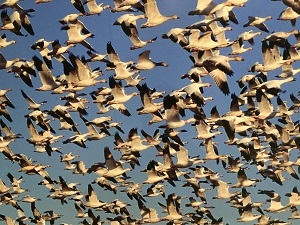 For more information and hours, visit www.hansherr.org. 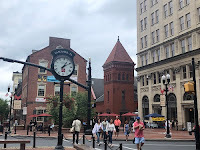 The National Watch & Clock Museum is the largest horological museum in North America and is home to 12,000 clocks and other clock-related items from around the world. Beyond its regular hours, the museum hosts many types of events, including “clocktail” parties, lunch events, “Clocktoberfest” and much more. For more information, visit https://nawcc.org/index.php/museum. There are plenty of Inns surrounding all these amazing sites, check out www.authenticbandb.com to find one that fits your needs. Our innkeepers are looking forward to accommodating you during your visit and telling you more about these great locations!